Members of an Amazon tribe patrolling their rainforest reserve to protect uncontacted relatives from illegal loggers have seized a notorious logging gang, burned their truck, and expelled them from the jungle. The area they are defending, Arariboia, is in the most threatened region in the entire Amazon. 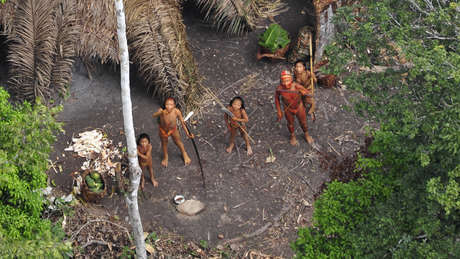 It is home to an uncontacted group of Awá Indians, a tribe well known for their affinity with animals and understanding of the forest, who face total annihilation if they come into contact with the loggers. The Guardians have recently found abandoned Awá shelters close to where the loggers operate. An Awá man called Takwarentxia, who was contacted in 1992 with his wife Hakõaĩ, and their baby. The rest of his family were killed by gunmen working for ranchers clearing the land. 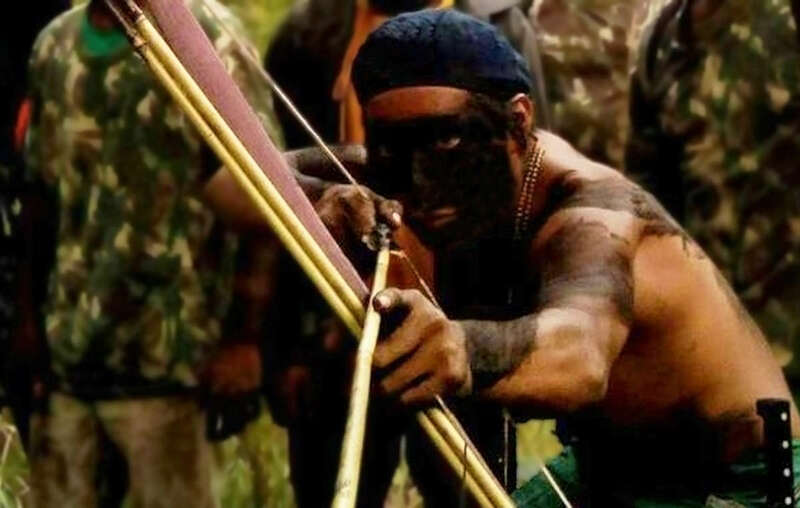 Although the area should be protected under Brazilian law, the lack of enforcement by the Brazilian government and the extreme danger posed to the uncontacted Awá has forced the Guardians to take matters into their own hands. They now fear violent retaliation. Three of the Guardians were murdered by loggers in 2016, and they have experienced arson attacks and regular death threats. Burning Truck from Survival International on Vimeo. Survival International has written urgently to the Brazilian government calling for the immediate and long term protection of both the Guardians themselves and of the area they fight to protect. Survival are also asking members of the public to send emails in support of the Guardians to government ministers via this page on their website. 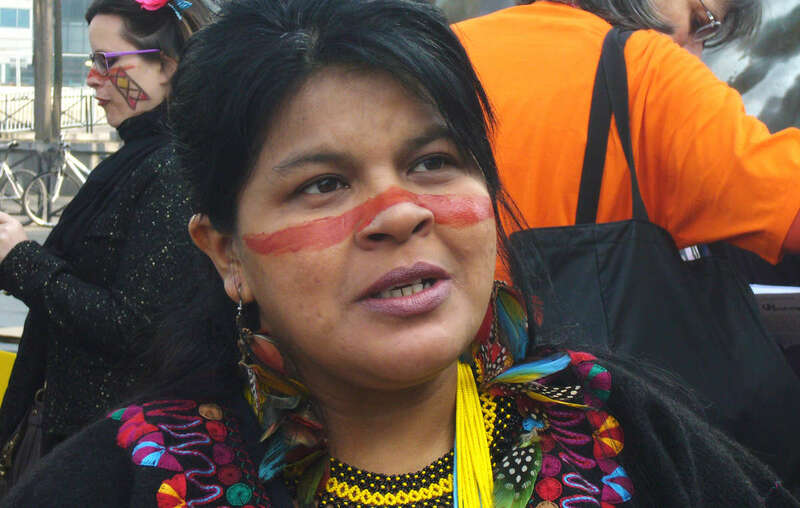 Sônia Guajajara at a protest in Paris against Brazil’s plans for a series of mega-dams in the Amazon, March 2014. Brazilian vice-Presidential candidate, Sônia Guajajara belongs to the same tribe as the Guardians and is the first indigenous woman ever to stand for the office of vice-President. She is campaigning on a platform of indigenous rights and environmental protection amid a political climate in Brazil which is more hostile to indigenous peoples than at any time since the end of the military dictatorship in 1985. - The “Guardians of the Amazon” are men from the Guajajara tribe in Brazil’s Maranhão state who have taken it upon themselves to protect what remains of this eastern edge of the Amazon rainforest. - They want to save the land for the hundreds of Guajajara families who call it home, and their far less numerous neighbors: the uncontacted Awá Indians. - You can see videos of several of the Guardians talking about their work on Survival’s Tribal Voice site. - There are more than 100 uncontacted tribes worldwide. They have decided not to engage in regular contact with anyone from the outside world. - They are not “lost” or trapped in a land that time forgot. They are aware of the outside world, and may engage sporadically with contacted tribes nearby. - There’s irrefutable evidence that their tribal territories are the best barrier to deforestation, particularly in the Amazon rainforest. - Uncontacted tribes are the most vulnerable peoples on the planet. Whole populations are wiped out by violence from outsiders who steal their land and resources, and by diseases like the flu and measles to which they have no resistance. - It is not uncommon for 90% of the population to be wiped out following initial contact. 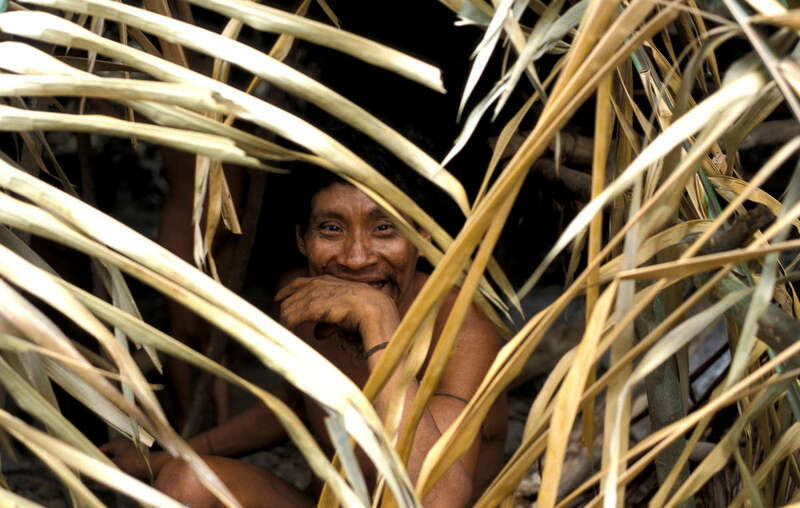 - While some Awá are in contact with the outside world, others are uncontacted. - The Awá were known as “the most threatened tribe in the world” during a successful campaign by Survival International for the Brazilian government to expel the illegal loggers from one of their territories. - The tribe are known for their affinity with the animals of their forest, and some families have more pets than people, from raccoon-like coatis to wild pigs and king vultures. - Monkeys are the Awá’s favorites and individuals are often seen with their pet monkey riding on their head. Awá will rescue orphaned baby monkeys and adopt them as a member of the family, even breastfeeding them. - The Arariboia indigenous territory comprises a unique biome in the transition area between the savannah and the Amazon rainforest. - There are species here not found elsewhere in the Amazon. - Brutal cuts in government funding to its indigenous affairs department FUNAI and tribal land protection mean the dangers are now even greater, as the area is not properly monitored or defended by the authorities. - A powerful and violent logging mafia operates in the region, supported by some local politicians.